I’m dreaming of a white Christmas… but I haven’t seen one for a very long time. Today’s post is inspired by Blog Action Day, whose theme this year is ‘climate change’. Initially I thought “I don’t have anything to say about climate change”, but the more I thought about it the more I found I did have something to say. Back in December 1981, when I was born, it snowed on Christmas Day, which was the day I was brought home from hospital. Of course, I don’t actually remember it, but having heard this story as I was growing up, I became convinced of two things. 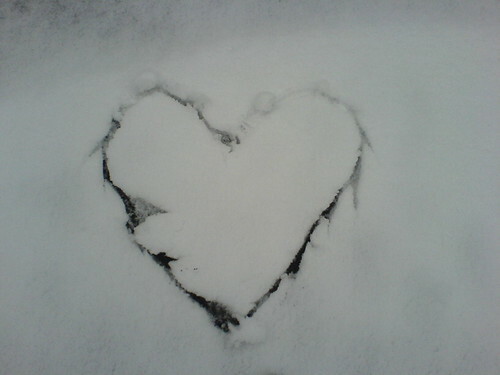 (1) That’s why I love snow! (2) Christmas should be white! I don’t think I’ve seen a white Christmas in England since then, but I do recall a rather shocking white Valentine’s Day in February 2007. So What does this mean for our world? Will our children’s children grow up wondering what the song ‘White Christmas’ is all about as they sun themselves in their gardens on Christmas Day and have a barbeque? Maybe it won’t be that bad, but there’s no doubt that the weather in our world is changing rapidly. But is there anything we can do about it? Are we doomed? Well, I’m no scientist (although I did use to work for a science journal!) but my guess is that we’re so far along now that all we can do is slow down the eventual destruction of our planet. I think we need to be more aware of what we’re doing to our world, and try to help out wherever we can. Here in Japan, it’s very cool to be ‘eco’ (pronounced ‘echo’) these days, and most of the major supermarkets (at least in my area) are trying to do their bit by stopping the use of plastic bags and encouraging everyone to bring ‘eco-bags’. I know this is happening in England, too. But what difference does this small action really make? I think ultimately change starts and happens by individuals efforts. A lot of little actions may add up to something significant. The one sure thing is that by doing nothing nothing will change. You can’t control what factories in China or car-owners in America do, but you can control some of what you do. No matter what the planet will survive. Mankind might not, although we’re quite resilient and resourceful, and no doubt the transitions won’t be pretty as there may well be wars for resources, but some other life will come along and fill the gap… or not.